Kenda Meyer and her family have been members of LCHope for over 30 years. Kenda taught in the Boulder Valley School System for 30 years until she retired in 2009. 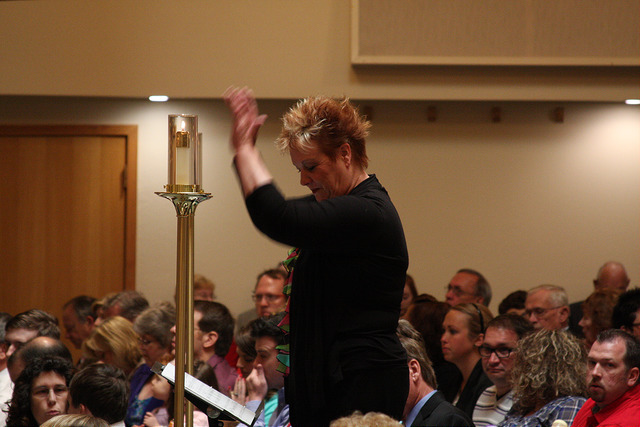 She has been a guest clinician and choral conductor for school districts in the Denver area. Her students have also performed for the Colorado Music Educators Association in Colorado Springs. She has held offices for CMEA and has been a clinician and speaker at both Colorado Middle Level and National Middle Conferences. Currently, she is the director of the Chancel Choir here at LCHope as well as the Director of Children's Music Ministry at Broomfield United Methodist Church. Kenda is married to Chuck and they have two daughters Lindsay and Kristi. Lindsay and Justin have a daughter, Everly. Kristi and Merrick will be married in October 2018. Together Chuck and Kenda enjoy traveling, sporting events, musical productions and spending as much time together as possible! You can connect with Kenda at kendame@lchope.org.